Soothing handmade rug in 100% wool in contemporary design. 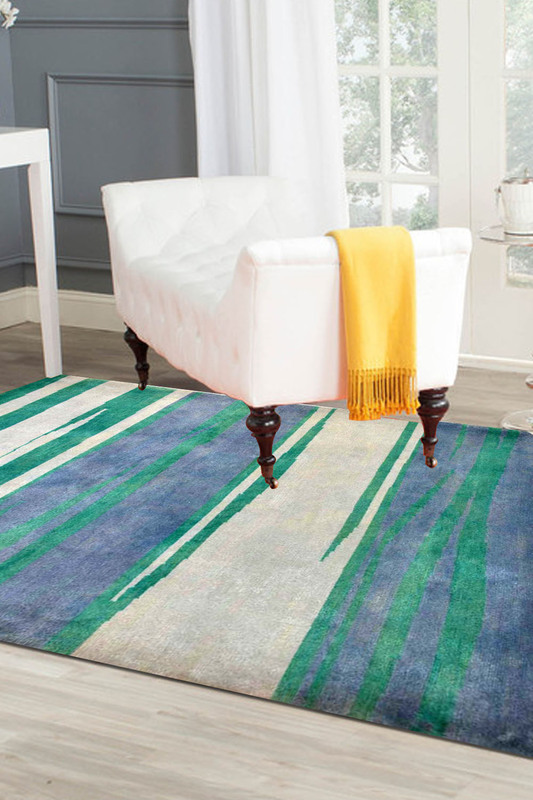 This rug is beautifully hand-crafted in shades of sea green and can easily be matched with any modern design décor. - This stunning rug is from our Sea Princess series and is handmade in 100% New Zealand wool. - Its primary colors are sea green, pale blue and tinges of ivory. - Versatile in nature and can be used in heavy traffic areas. - Our recommendation is to use this rug in a set-up with off-white or ivory furniture. - Its texture is soft and gives an extremely soothing look to any given décor.